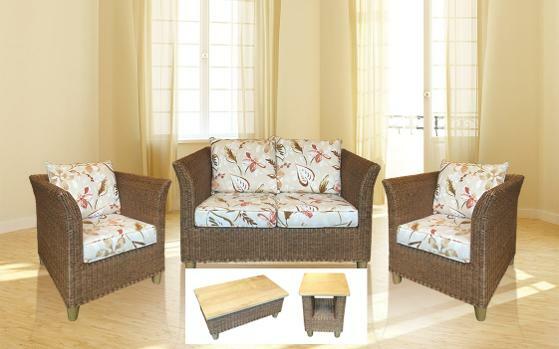 A medium size modern design collection with a full Rattan weave and matching accessories. There is a nice selection fabrics to choose from. All cushion covers have zips and can be removed for easy cleaning.